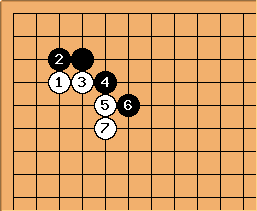 erikpan: Are there any favoured responses to the somewhat strange 'kosumi' approach shown here? 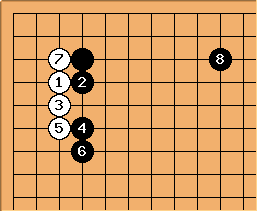 The only moves that spring to mind for me are a block at a (seems bad for shape) or a pincer somewhere around the points marked b. 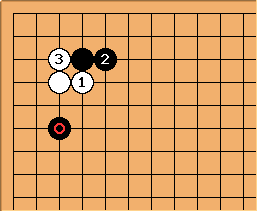 After the stretch, the single White stone is significantly weaker. Celebrir: It may be useful to see what happens if Black pincers. 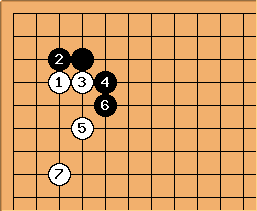 This looks nearly like a 3-3 Point Invasion, which normally is good for Black. But what happens if White doesn't play at 3-3 ? 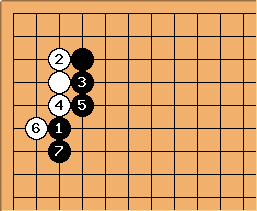 Now Black has two separated groups and White got the corner, which is a bad result for Black. Therefore the marked move was a bad one. 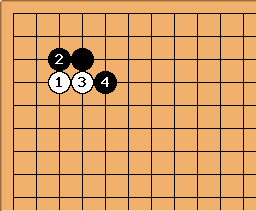 Andy: White didn't "get" the corner since this shape is not alive in the corner yet. willemien How about blocking at the other side and building a moyo along the upper side? kb: In a game, I would block at the 3-3 95% of the time. 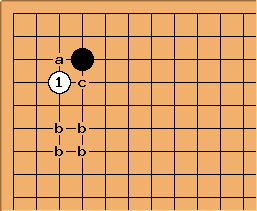 Black then has 5 liberties to White's three, the whole corner, and the whole top side. The diagram below is the best White can do afterwards. 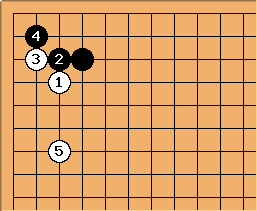 kb: If White pushes up Black practically wins the game. Look how much Black gains!